Round Table favorite, Chris Mackowski, will appear before the WNCCWRT at its annual Christmas Party on December 14 at 7 pm. Cocktails will be at 5pm, dinner at 6pm and the program witll bein at 7pm. 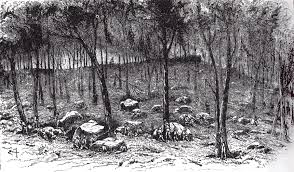 It is there he will explore the performance of Maj. Gen Richard S. Ewell and his II Corps at Culp’s Hill at Gettysburg. The event, being held at the Comfort Inn on 1245 Main St. in Sylva, will for the first time mark the conclusion of this truncated Speaker’s Schedule as the Round Table switches from an August-to-May year to a March-to-December term. Members, guests and the public-at-large are invited to attend. Tickets/reservations for the dinner are $25 a person, and are due on or in advance of December 7. The party will include a scrumptious variety for dinner, again catered by John Faulk. There will be a limited cash bar. Also, for the attendees’ amusement, there will be a silent auction as well as a door prize-styled raffle. The Round Tables request those attending to do so in jackets or “Sunday best” or period costume. 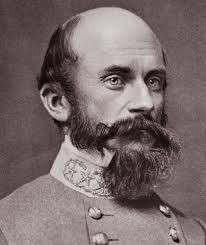 In a style of what can be called practiced, yet frenetic, Mackowski will evaluate critically the actions and/or inactions of the II Corps under its new commander, Richard Ewell, who had replaced the now-fallen iconic Stonewall Jackson. In doing so, he will look at the orders, the decision, and the execution of those strategies on the July first and their performance throughout the battle. Those wishing for more information may contact Richard Smith (828-293-5924) or Bill Baltz (828-712-9314). Otherwise, to request tickets send your checks to WNCCWRT; Attn: Christmas Party; PO Box 3709; Cullowhee, NC 28723. The Round Table looks forward to seeing all of its old friends on what promises to be a delightful evening of fun, scholarship and camaraderie. 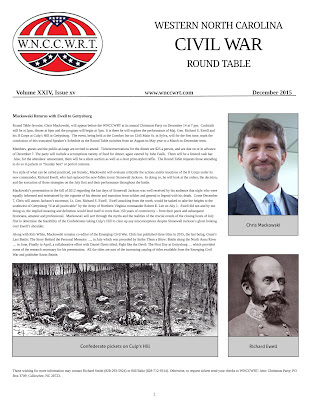 The Western North Carolina Civil War Round Table will present Col. Wade Sokolosky (Ret.) to address the organization and its guests at the HFR Auditorium on the campus of Western Carolina University, Monday, November 9 at 7 pm. Admission is free. The traditional meet n’ greet with the speaker at Bogarts in Sylva will be at 5 pm and the casual social, 6:30 at the WCU location. Members, their guests and the interested public are encouraged to come. The Battle of Wyse Fork fought on March 8-10 in 1865 is sometimes known as the Second Battle of Kinston involved Union troops (three divisions) of Maj. Gen. Jacob Cox under Maj. Gen. John Schofield faced off against a division of North Carolina Reserves commanded by Maj. Gen. Robert Hoke along with elements (approximately 29 regiments) of a shattered Army of Tennessee, Maj. Gen. D.H. Hill commanding, with overall command under Gen. Braxton Bragg. Fighting aside the Atlantic and North Carolina Railroad and in front of the Neuse River the Confederates would have to withdraw across the Neuse after three days of hard fighting and seeing any initiatives slip away with poor communications and against superior numbers. Col. Sokolosky’s most recent book, co-authored with Smith, "To Prepare for Sherman's Coming": The Battle of Wise's Forks, March 1865 is from where the research and thesis of the presentation is created. He will attempt to erase the misconception that the battle was little more than an insignificant skirmish and elevates this combat action and its related operations to the historical status it deserves. 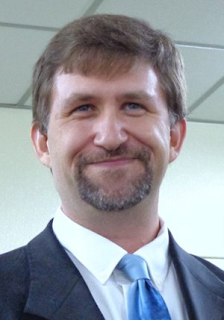 Sokolosky, a 25-year U.S. Army veteran and native North Carolinian (Beaufort), has co-authored two books regarding the Sherman’s Carolinas Campaign with Mark A. Smith, the aforementioned To Prepare … and Such Army Since the Days of Julius Caesar: Sherman's Carolinas Campaign from Fayetteville to Averasboro being the other. He is the sole author of Final Roll Call: Confederate Losses during the Carolinas Campaign. 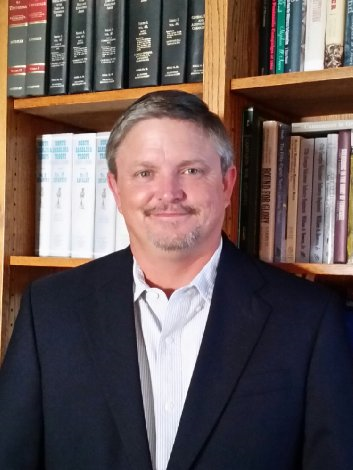 With these book credits and current the Vice-President of Friend of Bentonville Battlefield, Skolosky has become regarded as one of the leading authorities of Sherman’s Carolinas Campaign.He is a graduate of East Carolina University. During his time in the service, Wade served in a variety of leadership and staff positions, both in the United States and overseas, most notably in Afghanistan. Upon relinquishing command of the 23rd Quartermaster Brigade in 2011, Wade returned home to Beaufort. He has lectured throughout the Carolinas, speaking to roundtables, various societies and organizations, and at historical sites. 'Meetings & Events' page has been updated with new WNCCWRT Regional Events Calendar for November 2015. 'Gallery' page has been updated to contain additional images from WNCCWRT Montgomery and Mobile Trip. 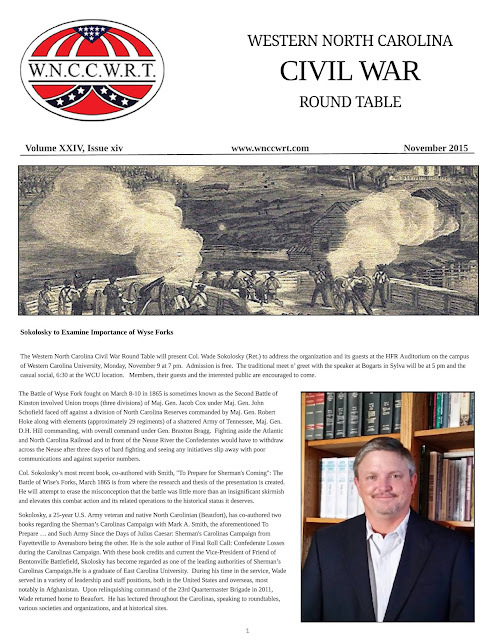 The Western North Carolina Civil War Round Table will present Col. Wade Sokolosky (Ret.) to address the organization and its guests at HFR Auditorium on the campus of Western Carolina University, Monday, November 9 at 7 pm. Admission is free. There is casual social 30 minutes prior to the event at the same location. Sokolosky, a 25-year U.S. Army and native North Carolinian, has co-authored two book regarding the Sherman’s Carolinas Campaign with Mark A. Smith and is currently the Vice-President of Friend of Bentonville Battlefield. As such, he has become an authority of the events and their implications of the closing days of the Civil War in Eastern North Carolina. Wade's presentation will attempt to erase the misconception that the four-day battle was little more than an insignificant skirmish and elevates this combat action and its related operations to the historical status it deserves. Providence through the “Rains” has afforded another opportunity for WNCCWRT members and guests to go west Georgia to view and tour the Civil War Naval Museum and Andersonville NHP on November 14 & 15. Newcomers should be aware of the following, there is a non-refundable $30 deposit required by the November 9 meeting with possibility of those willing to carpool. Those with arrangements in place are good to go. Also, the itinerary remains the same with the exception of the dates – departure from the Jackson County Justice Center at 7 am, Saturday November 14 with arrival approximately 11:30 am EST. Arrival in Columbus will be at the Cracker Barrel at 1500 Bradley Park Dr. Columbus. If the group exceeds 15, a private tour is then possible. Accommodations at the Microtel Hotel for Saturday have been arranged at a reduced rate of $64.94 (9 rooms) if booked by November 6. Other food and fuel expenses are being left to individual arrangements, however the hotel does come with a breakfast bar. Departure for Andersonville should be no later than 8:30 am, Sunday the fifteenth. Arriving at Andersonville for a 10:30 tour and subsequent tour of the POW museum is to follow. Departure and stops on the home leg of the trip will be left up to occupants in each car bearing in mind it’s a five-hour journey back to Sylva. Need to know more about the sites? See WNCCWRT Newsletter (October). Those wanting or needing additional information should contact Richard Smith, 828-293-5924. 'Sidebar' page has been updated with links to view and download updated Organization By Laws. 'Meetings & Events' page has been updated with new WNCCWRT Regional Events Calendar for October 2015. 'Meetings & Events' page has been updated with new WNCCWRT Regional Events Calendar for September 2015. 'Meetings & Events' page has been updated with new WNCCWRT Regional Events Calendar for August 2015. 'Contact' page has been update to reflect new Member at Large - Mardy Ashe and updated contact information for WNCCWRT President Paul Turner, Jr. and Vice President Richard Smith. These changes are also in the August 2015 WNCCWRT Newsletter. Have you gotten your tickets to sell for the Annual Raffle? 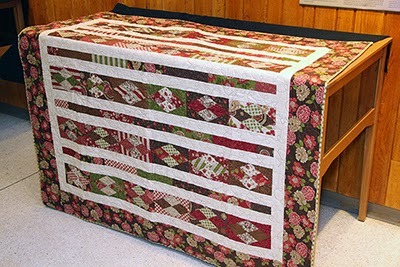 This year we are raffling a locally-made quilt from Maggie Valley. This is a very high quality quilt that is good for any occasion to use or as a keepsake. The sale of these tickets will help us continue to have the fine speakers each monthas well as other programs.